It’s the birthplace of all things sexual, gay and straight. 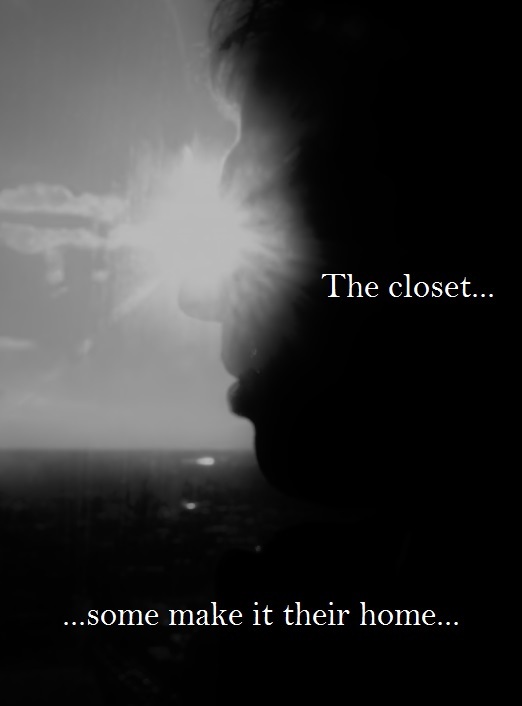 While the majority of closets gets demolished by the end of puberty, some people end up making it their home. What I remember most about Guy #14 was his house. It was spacious, but mostly because it felt empty. It had everything a person needed: a fridge, a table, a couch, a TV, yet every household object seemed lonely as a comet, aimlessly lost in space. The walls were plain white, without so much as a generic IKEA painting or even an obligatory family photo to give the place at least a hint of an identity. His house was just that: a house, a place to keep the weather out, and with it everything else. To Guy #14 the closet wasn’t just for hiding the fact he enjoyed other people’s penises so much. His gayness was merely the tip of the iceberg. Everything that I liked about Guy #14, his sense of humor, his wit, his ambitions, his sexuality, all of it was frantically hidden from the possible judgment of others. Some take refuge in a closet for fear of persecution, AIDS or Jesus. Guy #14 stayed in his closet for fear of himself. He was the only one in his environment who had any real trouble accepting his sexuality. In that sense he reminded me of myself a lot. I used to be a bit of a fearful fag myself not that long ago. After all, when I started dating guys I had convinced myself I was merely being bicurious. Yet here I was, having an actual relationship with a guy, a personal connection with someone I cared about. Guy #14 was probably a turning point for me, allowing me to finally let go of the idea that I must find women sexually interesting. For about three months, Guy #14 secretly allowed me to be a part of his life. One night, as we were making out in his bedroom, a neighbor suddenly appeared in the garden. Guy #14 panicked and told me to stay in his bedroom, away from any windows. I ended up hiding in his walk-in closet, in the dark, while Guy #14 socially obligated his way through his neighbor’s visit for a good twenty minutes. I broke up with him shortly after that. I guess it was the moment I decided not to make my closet my home. Guy #14 unwillingly painted a picture of my life, had I fortified my closet as much as he had. It’s not an ugly picture, just void of any joy, intimacy or love. It’s a picture of sterility. Life inside a closet can be pretty depressing, as I’m afraid it has been for Guy #14. In all the years I’ve known him, I’ve never seen him within grabbing range of happiness. I’ve never seen him reach for any, either. I hope he someday finds the courage to accept himself for the raging bottom he could have been by now.